CollectionProperty randomly throwing registration error. 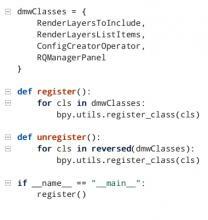 Did you register RenderLayersToInclude before you registered ConfigCreatorOperator? Error is not consistant... It'll error out very randomly / unpredictable. There are no preferences or any initialization lines before registering. Can you share a small complete example that we can use to reproduce the issue? Find bug behavior in above video attachment. It errors out very randomly. No specific pattern. I found two problems in the code. The dtrClasses object is a set instead of tuple or list. In Python sets have no ordering guarantees (yet?). That is probably the reason why the problem only appears sometimes. 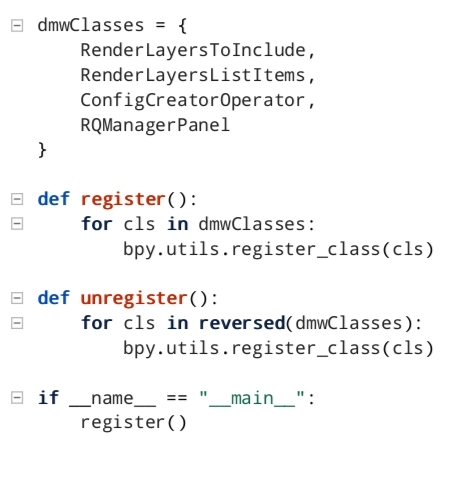 You call register_class in the unregister function. It's my bad. While trimming code base to provide example for you, I made that mistake.